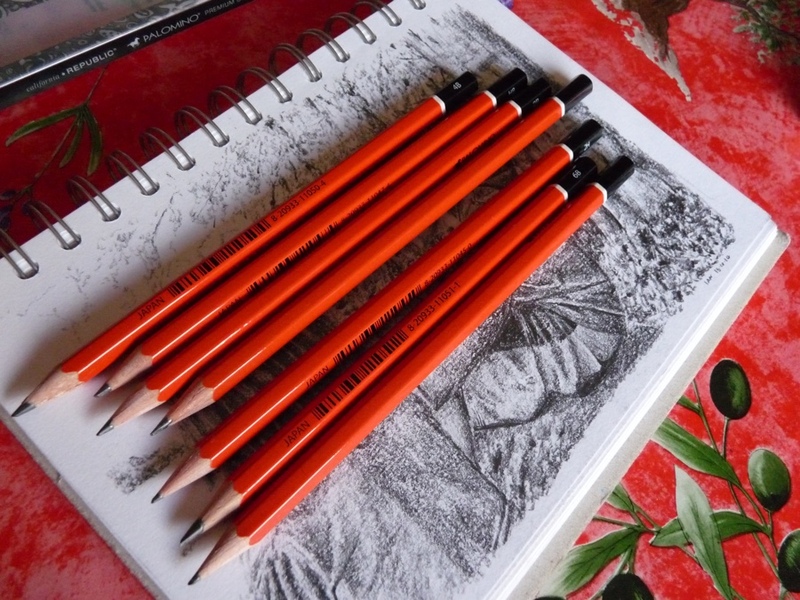 Palomino Graphite Drawing Pencils – Pens! Paper! Pencils! 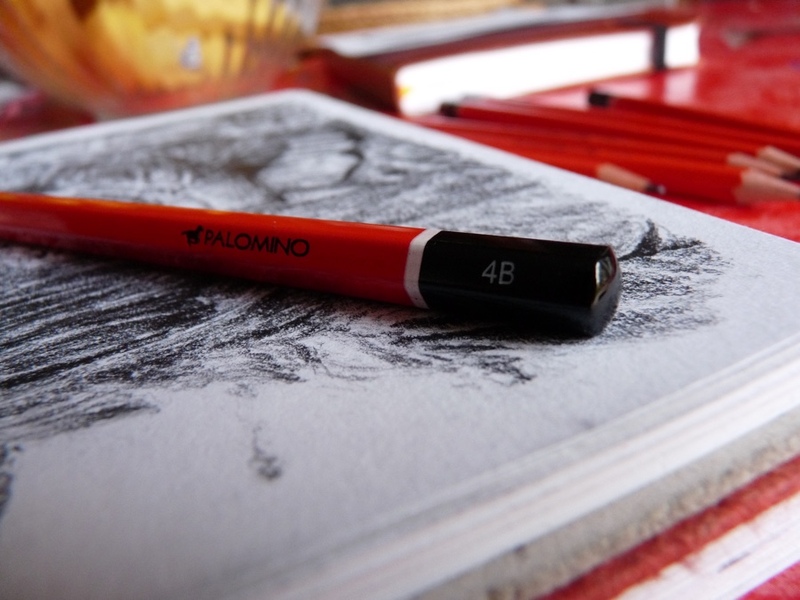 Palomino Graphite Drawing Pencils are made in Japan from incense cedar. They’re available in grades from 2H to 6B and cost around $12 for a dozen. 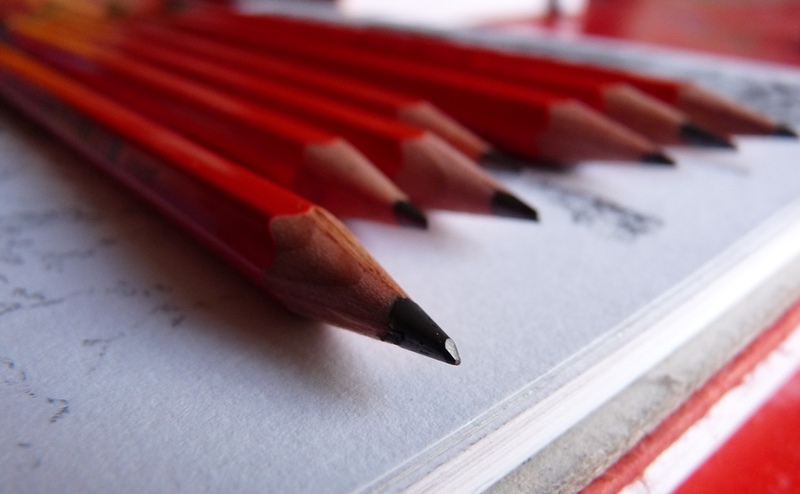 Theses pencils look pretty good, with a bright orange-red barrel and black end. One side is printed simply ‘Palomino’ and the other side has the ugly but sadly ubiquitous serial number and bar code. The wood is lovely and the pencils sharpen easily. This is useful because these pencils do not keep a sharp point at all. You will be doing a lot of sharpening. A soft point is perfectly acceptable with a dark lead. It comes with the territory. 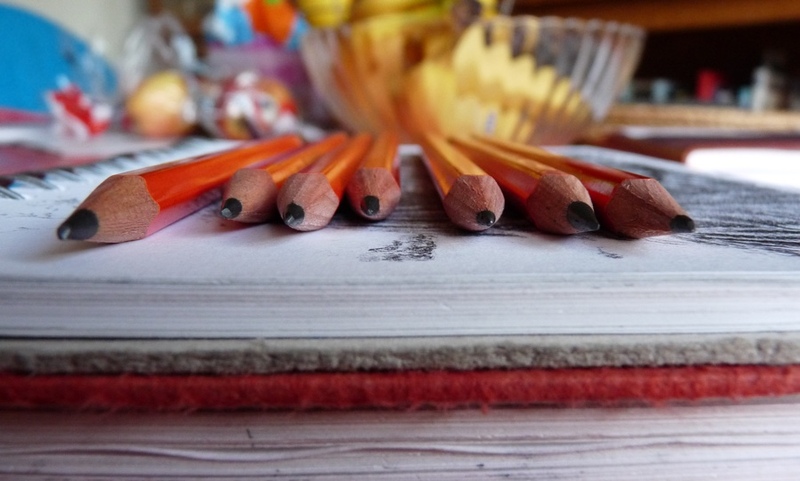 But these pencils are not especially dark and they blunt quickly. This does not make for a pleasant drawing experience. 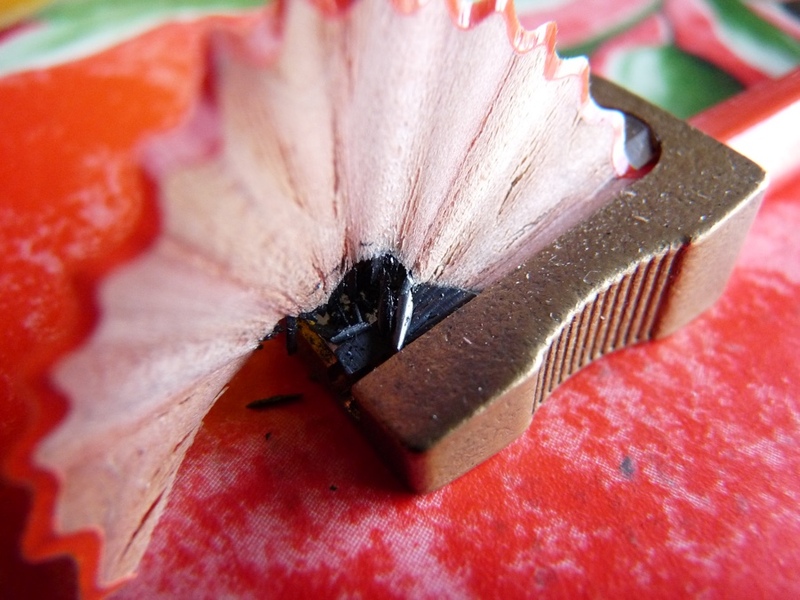 It may sound like a little quibble but the lead grade is only printed on two sides of the hexagonal barrel. What this means is that it’s not always possible to see the grade when you go to pick one up. 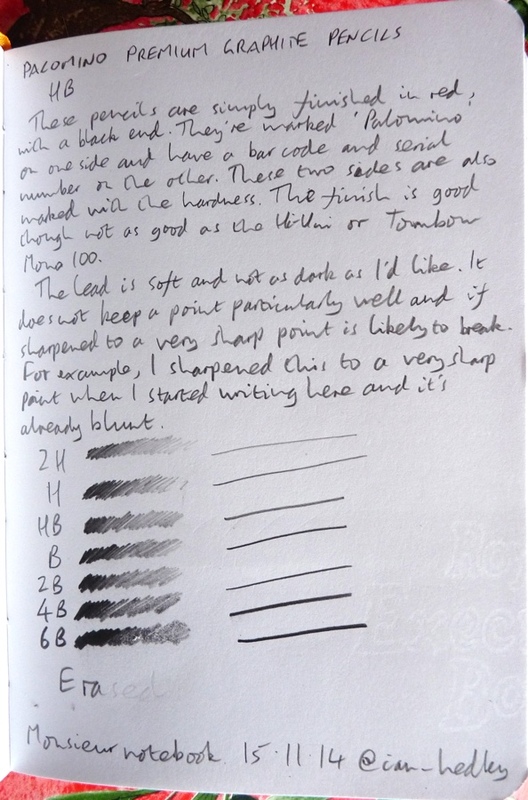 Tombow Mono 100s and Mistubishi Hi-Unis have the grade printed on three sides so it’s always visible. Palomino Graphite Drawing Pencils are only a tiny bit less expensive than Tombow Monos (which are cheaper but as far as I’m aware functionally identical to the Mono 100s). They are nowhere near as good. The finish is okay but not as good, the lead is drastically inferior and the grade-on-two-sides issue is irritating. I drew tomorrow’s picture with these and it was a bit of a trial to complete. If I’d used my beloved Tombow Mono 100s instead, I’d have enjoyed drawing it more and the end result would have been better.